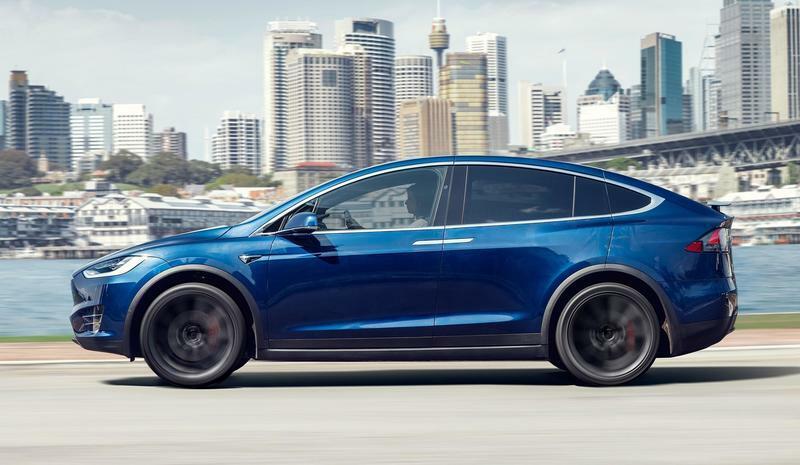 Now that we’ve had an eyeful of the 2020 Tesla Model Y, it’s time to look at it from a more analytical perspective, especially with regards to how it stacks up against the 2019 Tesla Model X. What are the differences between these two all-electric utility vehicles, and why do those differences matter? Let’s start with styling. 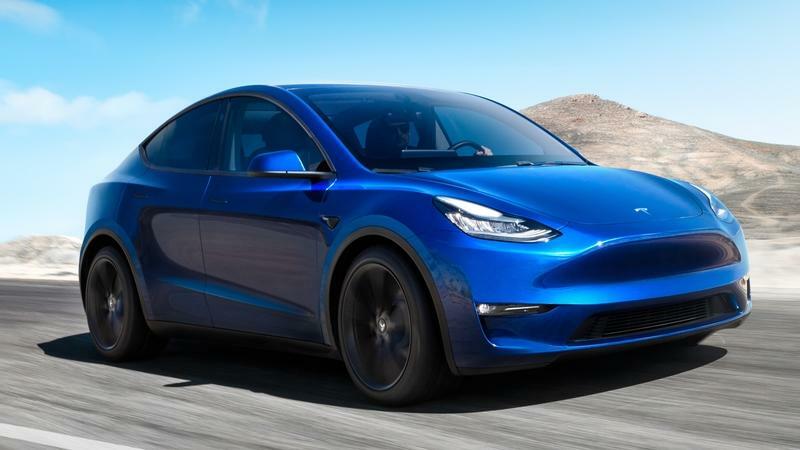 The first thing that jumps out at us with the 2020 Tesla Model Y is that it comes with a front fascia that looks quite a bit like that of the Model 3. 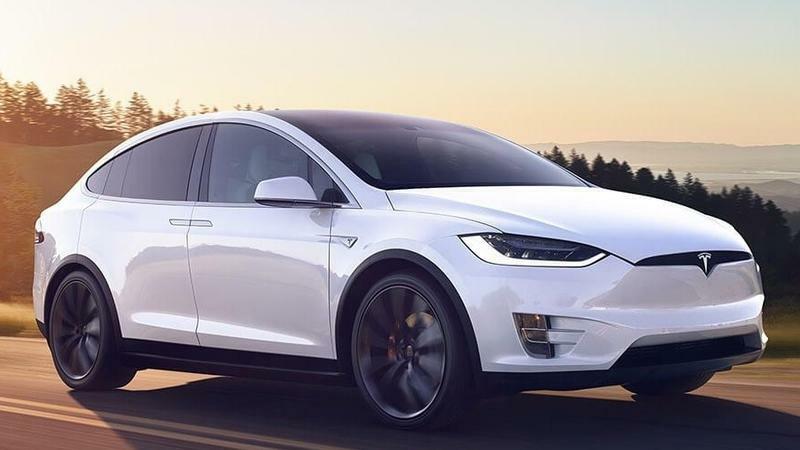 By comparison, the Model X gets a front fascia that looks quite a bit like that of the Tesla Model S.
The Tesla’s entry-level models Y gets larger headlights and a flatter fascia, while the higher trims model X gets a more stylized front end with horizontal headlights. That way, out on the street onlookers can quickly identify which Model they’re looking at, and whether or not it’s an expensive high-end Model or less-expensive high-volume model. It helps to solidify brand loyalty amongst buyers as well. 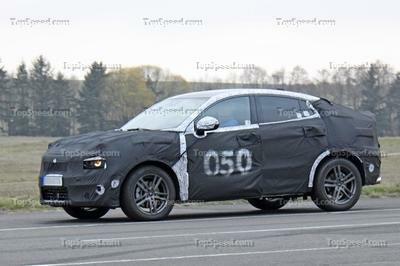 The rest of the Model Y’s shape is similar to that of the Model X, and includes flush door handles, a curving roofline, and a square rear end. 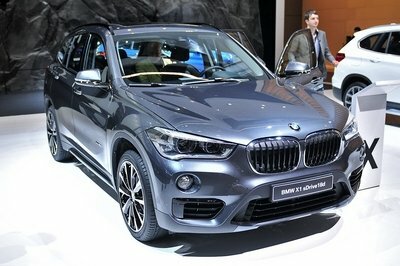 While the similarities help with brand image, the shape is primarily for aerodynamic purposes. Electric vehicles are all about efficiency, so it makes sense from an engineering point of view to use whatever shape is permitted to help reduce drag. It’s also worth noting that Tesla has improved on this with the 2020 Model Y compared to the Model X, as the crossover posts a drag coefficient of 0.23 compared to the X’s 0.24. The Model Y comes with standard rear doors, unlike the dramatic “Falcon” style doors of the Model X. Traditional doors save weight and cut costs, as well as speed up production. 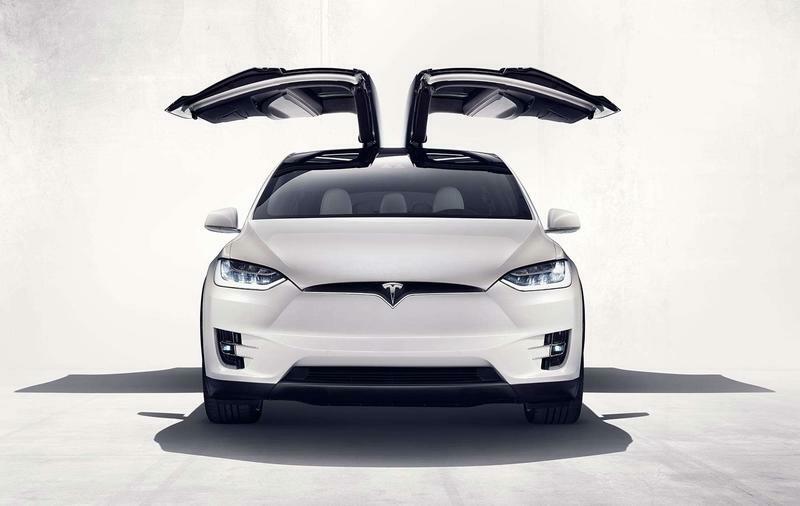 Tesla struggled with Model X production early on due to the complicated Falcon door mechanism. What’s more, customers have reported multiple issues with the reliability of the Model X’s Falcon doors, and Tesla certainly wants to avoid a major recall with the mass-production Model Y. 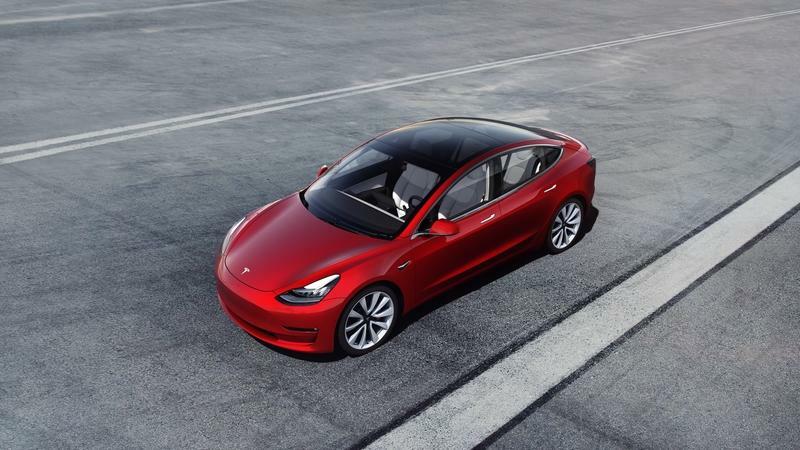 The 2020 Tesla Model Y offers the same five paint colors as the rest of the Tesla line (including the Model X), which should help to streamline the production process even further. 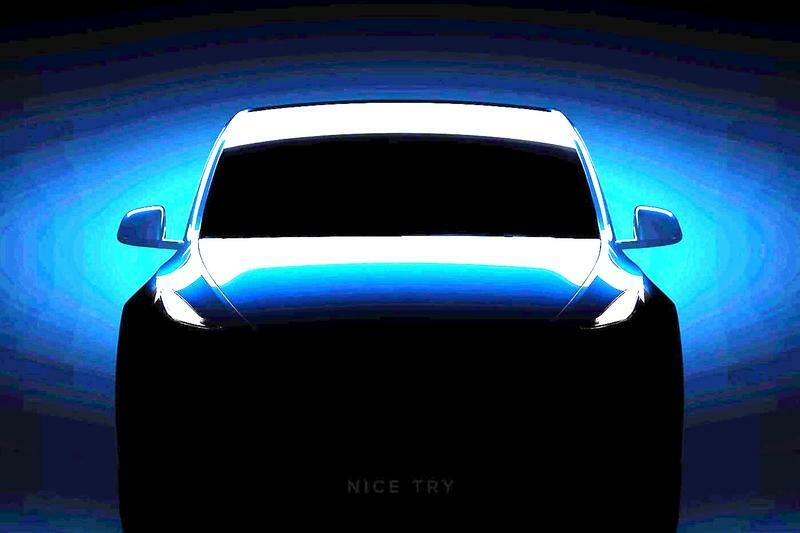 Tesla has yet to provide exact exterior dimensions for the 2020 Model Y, but did say the crossover would be 10 percent larger than the Model 3. 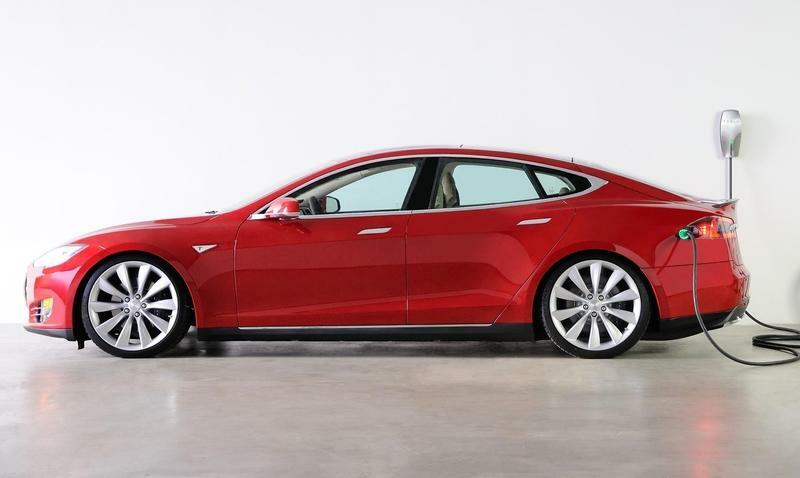 This is no doubt to accommodate the larger cabin space inside, as well as to bridge the gap to the mid-size Model X SUV. Like the exterior styling, the interior of the 2020 Tesla Model Y mimics that of the Model 3 rather than the Model X. 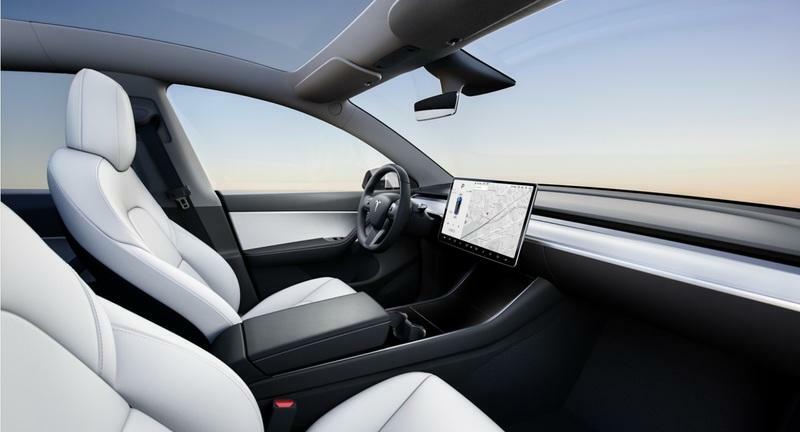 Inside the Model Y, you’ll find a horizontal 15-inch touchscreen that seems to float above the dash, as well as a simpler, streamlined layout. The look is wide and horizontal, with broad swaths of material that enhance the Y’s sterile aesthetic even further. By comparison, the 2019 Tesla Model X’s interior is far more stylized. The primary user interface is a vertical 17-inch tablet-style screen, while a secondary screen is mounted behind the steering wheel. The X’s door panels and dash are both much more intricate than those of the Model Y. 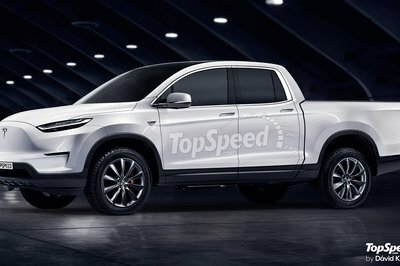 This is once again to help with brand image, parsing out the entry-level models from the high-end models, while also streamlining production for the mass-volume Model Y. Up top, the 2020 Tesla Model Y has a panoramic glass roof. This is different from the Model X, which offers a panoramic windshield that stretches all the way back to the top of the front seats, then terminates with a metal section just behind the first-row seats. This design difference is most likely to accommodate the X’s rear falcon doors, while still flooding the cabin with copious natural light per customer expectations for the Tesla brand. The Model Y also offers simplified color options for the upholstery, with black as standard, and black and white as an available option. This is most likely to keep costs down and speed up production. By comparison, the Model X adds in Cream colored upholstery as an available option. The Tesla Model X improves on the Y’s feature list with 17-speaker audio and a heated steering wheel, both of which are standard on the X. The Model X is also equipped with unique features like Bioweapon Defense Mode, which utilizes a HEPA cabin air filter that offers cabin air quality on par with that of an operating room. All of this is to help convince buyers they are truly getting what they pay for when stepping up to the Model X. 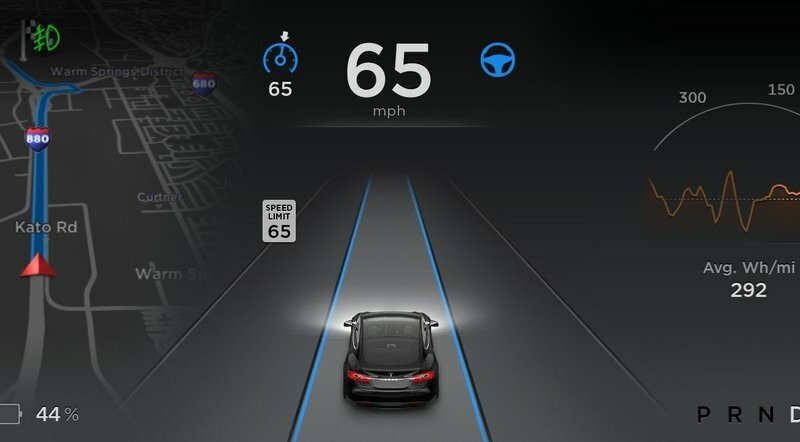 One feature that remains consistent across the Tesla lineup is the Autopilot and Full Self-Driving Capability features, both of which are identical in the Model Y and Model X in terms of equipment and capability. The Model Y and Model X are also identical in terms of safety ratings, with top-notch marks across the board. Of course, the Model Y has yet to be tested by organizations like NHTSA (or at least finding have yet to be published), but Tesla’s claims in this area tend to be pretty much on the nose. 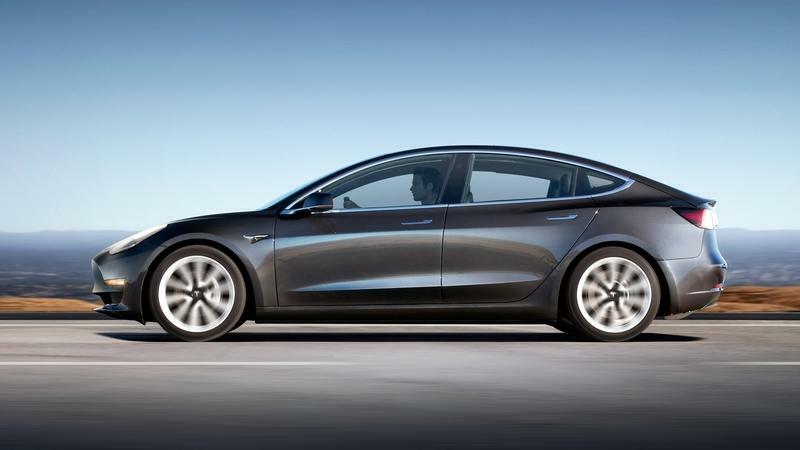 The Teslas’ impressive safety ratings are largely thanks to the benefits of the all-electric powertrain layout - without a big internal-combustion engine in front, the Tesla architecture provides a sizable crumple zone, while the low center of gravity keeps rollover risk at a minimum. 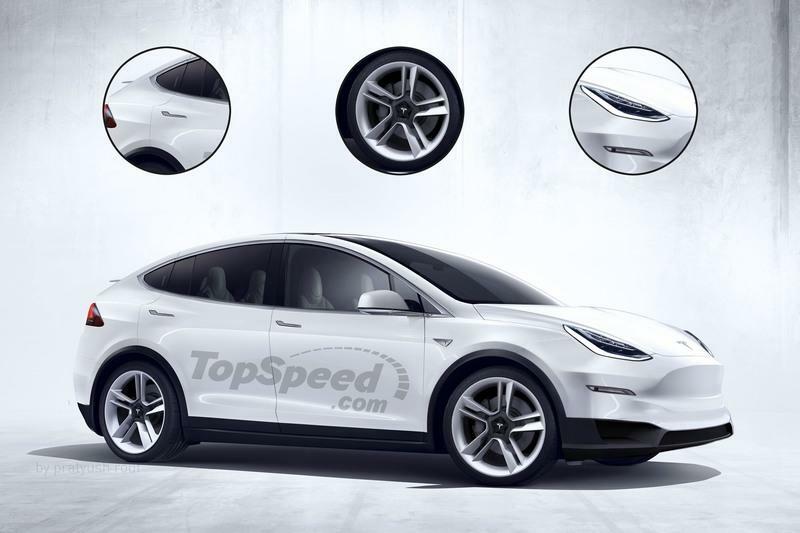 The 2020 Tesla Model Y offers seating for five and the option for a seven-seater layout. 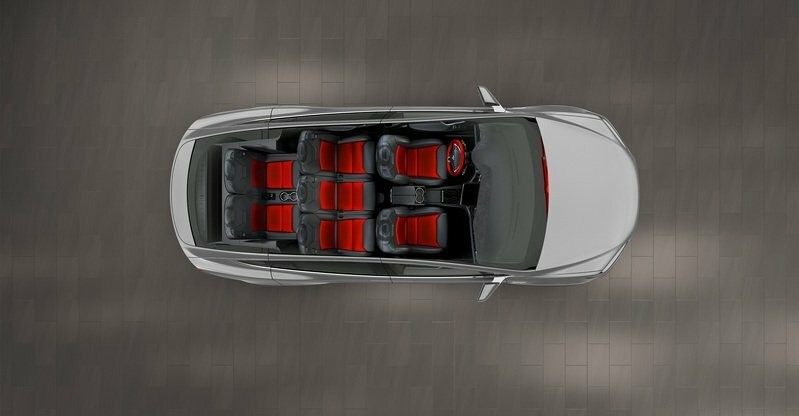 By comparison, the Model X also offers seating for five as standard and the option for seven seats, but Tesla threw in a six-seat layout for the X as well. The seven-seat option in the Y came as a bit of a surprise. While a seven-seat passenger configuration in the larger mid-size Model X SUV makes perfect sense, stuffing an extra two passengers into the back of the smaller Model Y crossover seems like it could get pretty cramped. We’ll have to wait and see how it pans out (perhaps the third row on the Y is intended for children), but for now, it’s a feature that helps the Model Y stand out from the rest of the competition in the compact segment. Finally, the Model Y offers 66 cubic-feet of cargo space with the rear seat folded down. By comparison, the Model X offers 87.8 cubic-feet of cargo room with the seats folded, once again thanks to its larger mid-size exterior dimensions. Once again, this is to help keep costs down for the mass-production Y, while still offering a variety of powertrain options to customers. By comparison, the Model X is all about impressive specs and big numbers. As such, Tesla offers just two powertrain options for the X, including the Long Range and the Performance, plus the option for the supercar-challenging Ludicrous Mode on the Performance trim. 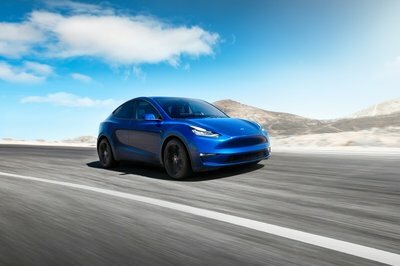 It’s interesting that Tesla would offer a Performance version for the Model Y. Clearly, very-quick 0-to-60 mph times have become integral to the Tesla brand, even when it comes to its SUVs and crossovers. Hell, Tesla even boasts about the acceleration of its up-and-coming all-electric Semi truck! In the corners, the Tesla Model X comes with air suspension as standard, while the Model Y is expected to receive a traditional spring-and-shock suspension. However, with the Model 3 expected to get a new air suspension option sometime in the near future, the Y will likely follow eventually. 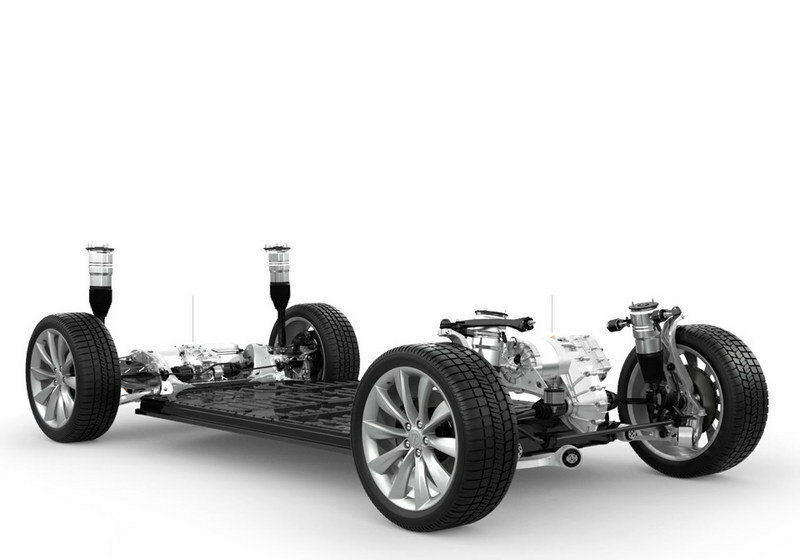 That said, Tesla has some work to do before it offers air suspension on its high-volume models. Customers have reported numerous issues with the Model X’s air suspension, which has contributed to the SUV’s dismissal from Consumer Reports’ list of recommended vehicles. Unlike the problematic Falcon doors, the Model X’s air suspension is something that could be integrated with the Model 3 and Model Y, adding a good deal of value to their respective nameplates. 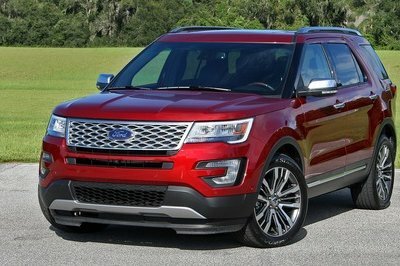 It’s a relatively expensive upgrade, and it needs to work flawlessly on these high-volume models. Air suspension would be quite nice in the Y. 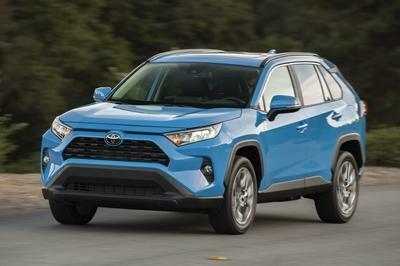 For now, the compact crossover rides pretty low for efficiency purposes (a lower ride height helps to eliminate air turbulence), and considering the number of buyers that turn to the crossover segment for the extra ground clearance, it’s an arrow the Y should definitely have in its quiver. 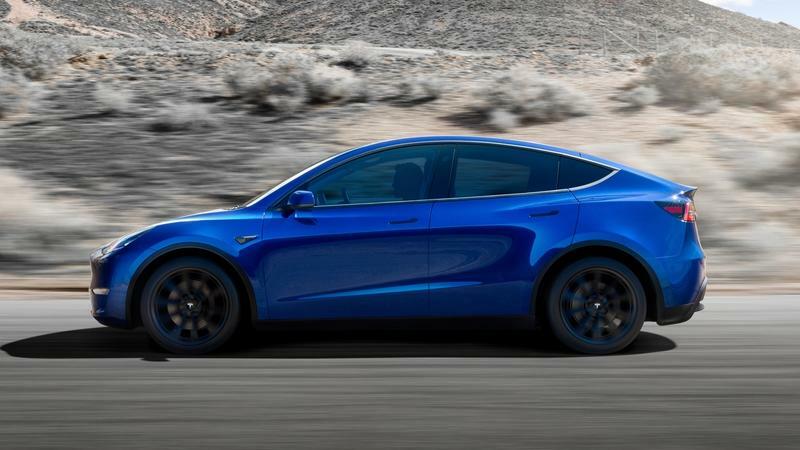 All told, the 2020 Tesla Model Y pulls a lot of its features and aesthetics from the 2019 Model X to keep the brand consistent, but streamlines certain bits to help lower the overall cost and speed up the production process. However, beyond size and a few stylistic differences, you don’t really lose all that much going with the Y over the X.
We’ll see if customers agree when Model Y production kicks off later next year.